In “Where to Live in London: House or Flat Part 1” we’ve already discussed which are the main benefits of living in a house. In this part we’ll pay some extra attention to another option that you could take advantage of if you’ve decided to move to the capital of the UK. 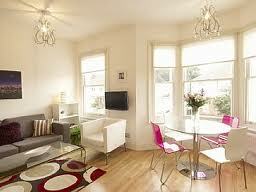 Buying or renting an apartment is probably much better choice, especially if you have to consider a tight budget. But do you want to learn which are the other advantages of this alternative? Then have a look at this article and find out some more information. It’s true that flats couldn’t offer you as much space as houses but why would you need a six-room house if you’re living alone or just with your partner? There is no sense in wasting a fortune for such a property when you could discover something smaller that could be still up to your needs and requirements. So why don’t you take advantage of cheap removals London and move in a lovely and cosy flat located in the centre of the capital of the UK? You would be closer to your office, you won’t be stuck in the traffic for ages and you’ll be able to take advantage of all benefits of living in London. Another advantage of calling a home removals London company and moving in an apartment instead of in a house is that this is a much safer option. In the end, living in such a building has its advantages to living in a detached house away of other people. What would you prefer – living in a house or living in a flat?